We have defended legal malpractice, breach of fiduciary duty and related claims, represented lawyers in disciplinary proceedings, untangled disputes over partnership compensation, and represented firms and individual attorneys facing third-party subpoenas and disqualification motions. Our team is chaired by Frederick Warder, who has represented international, national, regional and local law firms in cases alleging malpractice, conflict of interest, breach of fiduciary duty, fraud, and professional sanctions. Patterson Belknap has represented more than 40 firms and their lawyers in these and other contexts, with consistently successful results. We have an exceptional success rate with dispositive motions, including in the matters described below. We have prevailed on summary judgment motions in cases involving the purchase of a hedge fund business, a $150 million private equity offering, a $90 million estate dispute, a pension plan under ERISA, a client dissatisfied with an adverse litigation outcome, and a conflict claim arising from joint representation in a litigation. 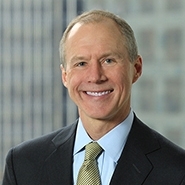 We have also succeeded in moving to dismiss a number of cases at the pleading stage and on statute of limitations grounds, including two cases involving negligence claims by bankruptcy trustees, claims of abandonment by a prominent entertainer, fraud claims asserted by an investor, malpractice claims by a financially troubled former client, and fraud claims arising from a failed business venture. Click here for more information on our Law Firm Defense Practice. Known as “lawyers’ lawyers,” we are trusted to handle the most important and, frequently, sensitive issues that firms face.